I’m happy to report that after years and years of searching, the hunt is finally over. 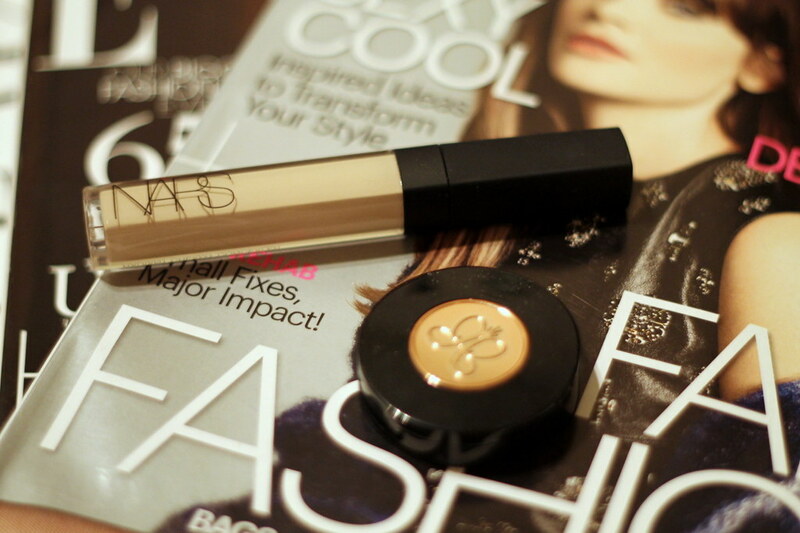 I found my number-one beauty lifesaver: NARS Radiant Creamy Concealer in Chantilly. Forever (no, really — since seventh grade when I first realized my undereye circles were bad) I’ve been trying product after product to find an undereye concealer that’s thick enough to mask my circles but light enough to match my very translucent undereye skin. Eleven years later, I finally found my lifesaver. Another lifesaver I recently discovered is Anastasia’s Brow Powder Duo in Auburn. I dyed my hair red again this past week (no, I’m not a natural redhead), and for any other gal out there who’s dyed her hair, we all know the most frustrating part of the dying process is the eyebrows. This powder is a great shade of auburn to match red hair. So tell me, what beauty products have you found to be lifesavers recently?